Access your files on the go from your smartphone or tablet. Our app for iOS, Android, Windows Phone, and Windows tablet is a great way to get even more out of Dropbox, letting you preview, edit, and share files right from your smartphone or tablet. The mobile app only downloads files when you need access, so it never hogs your data plan or storage. Once installed, sign in using your email and password. If you have a personal account connected to your work account, you'll have the opportunity to sign in to that account, too. 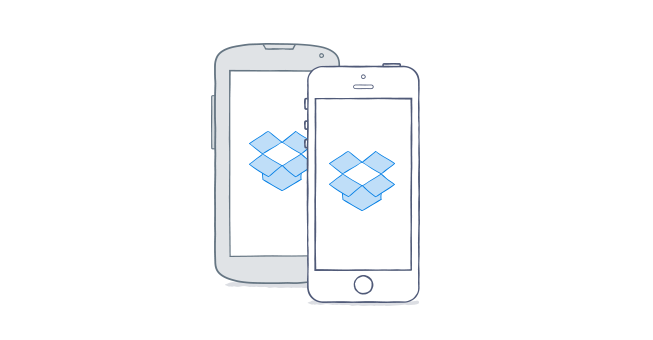 What are the system requirements for the Dropbox mobile app? 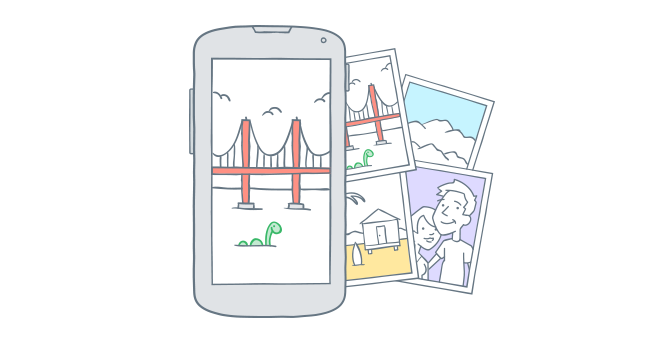 The mobile app is great for previewing, opening, and editing files while you're on the go. 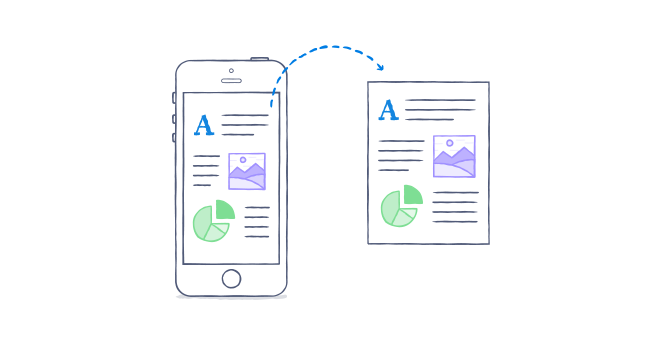 As a general rule, all files supported by your device will either preview in the Dropbox app automatically or open with another mobile app that supports the file type. Since every device is different, check out our help center for a detailed list of what formats are supported on yours. Make important files available even when you're offline by tapping the menu bar and then Make available offline. The file will be saved to your device for offline viewing, and updated whenever you have an Internet connection. Our app allows you to open and/or export files stored in your Dropbox using other mobile apps on your device. Once you export the file to another app, any changes to the file may not be saved back to your Dropbox, unless the app specifically integrates with Dropbox. Refer to the app's docs or support to find out for sure. Click here to learn how to open a file on your specific mobile device. Dropbox is fully integrated with Microsoft Office applications for mobile on iOS and Android devices. This integration allows you to open Office files stored in your Dropbox, make changes in the mobile Office apps, and save those changes directly back to Dropbox. While viewing a Microsoft Office file (documents, spreadsheets, or presentations) within the Dropbox mobile app, you'll see a new edit button that allows you to open your file directly in the appropriate Microsoft Office app for editing. Learn how to give view-only access to your files from a mobile device. Learn how to give edit access to your files from a mobile device.